This year was really kind of strange for me, and there were periods of time where I struggled a lot with just feeling down. It's weird, too, how sometimes you don't see that if you aren't enjoying the things you used to love you might be depressed? Even if you don't recognize it as such at the time. Well that was this year and reading for me. I don't even know how to explain it, but it was a really tough reading year. 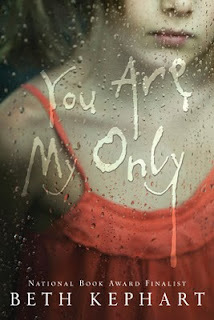 And so I actually put off reading You Are My Only for a time, because it's Beth's book and I wanted to love it and not read it when I hated the very thought of reading. I don't even remember why I finally picked it up, but I read it straight through staying up until the early morning hours, and weeping as I reached the end of the book. Beth masterfully tells two stories simultaneously of two girls that are in need of hope. And hope doesn't come wrapped in bright packages, it comes in its hard won way and it's difficult and hard but it's there. I love her use of language, theme, and her eye for detail, but mostly I love, will always love that healing and hope and freedom come through human interaction in her stories. We reach out to one another, we love each other, and we heal each other in our own stumbling, clumsy way. In You are My Only especially it's the art of food and the treasure of shared story that build bonds. THIS IS A BEAUTIFUL BOOK and obviously it's a very personal read for me, but you should still read it. I don't really understand how it didn't win all the awards, tbqh. This stunning collection of short stories about life for military spouses has stayed with me to this day. I can still vividly recall certain scenes out of the collection, and I still recommend it every chance I get. The stories are connected in loose ways through one major event that takes place and seeing how that impacts the lives of various people at Fort Hood is an effective storytelling technique. While some stories might be a bit weaker than others, the writing is enjoyable and believable throughout the book. 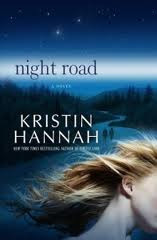 I sat down and read Night Road in one day, I did not want to stop. It was such a satisfying read, because Hannah developed her characters so well and clearly laid out their paths. It was impossible not to become invested in their stories, to feel their loss, and celebrate their hard earned victories. 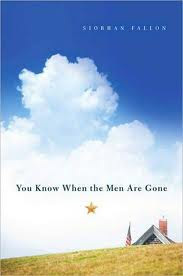 I cried A LOT during this book and understood for the first time why Kristin Hannah is such a beloved author. 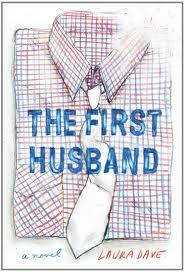 Laura Dave's The First Husband is a smart, funny, and touching book about a woman who has to learn to choose what she can live with and what she can't live without. 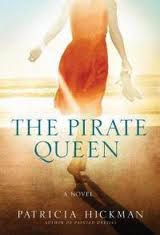 I loved following Annie's journey of facing down her fears, embracing freedom, and learning who she was. Months later and I'm still recommending it to everyone! 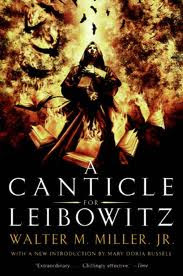 A Canticle for Liebowitz by Walter M. Miller Jr. This was a book for Faith and Fiction's Round Table last year that I found a complete chore to read. I think it took me something like three weeks to read and I was apologizing all over the place to the group for being so late. But it's not a bad book, just very difficult. And the ideas...so many ideas are raised in the book that are fascinating to contemplate. So even though this wasn't a book I had to read all at once, it has stayed with me since I read it and I realize that is a very good book, a book I'm really glad to have read and may even read again one day. A Canticle for Liebowitz is comprised of three novellas that take a look at a post-apocaplyptic society's attempts to rebuild itself over the ages. 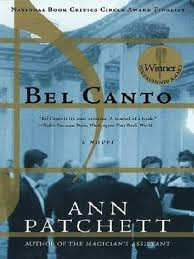 I have a thing for stories about people coming together in unlikely circumstances and creating something new together and Bel Canto fits that to perfection. Add in some tragedy and reverence for music and you pretty much have my ideal book. I loved this one a lot, and I anticipate the characters staying with me for a long time. I remember being so surprised to discover this beautifully written book. Hickman masterfully creates the inner world of her protagonist so that you know exactly who she is. As she battles her own disappointment with her life and eventually learns to unearth the treasures all around her, it's hard not to feel hope bloom in your own heart. Loved it. Hands down the best Amish book there is! I love how Cramer draws on his own family history to tell a story about a people who feel called apart but must come to terms with the way in which the world is colliding with their own. The very practical question of pacifism vs. protection is explored. And the women feeling stifled is actually addressed! And they are even forced to confront their racism. I don't know, I just loved that this book manages to depict the Amish with tremendous sympathy and fairness while also exploring the obstacles they face in trying to live out their faith. I have the second book in my possession now and I'm very happy about it! This was kind of a strange reading year in that I didn't read many of the big titles and I flaked out on pretty much every commitment I tried to make for myself. I'll share more about that later, but these are the books I read that really made a big impression on me. I'm curious if I have ANY overlap at all with anyone else since it's kind of a strange list.